Softalk Coiled Phone Cord, Plug/Plug, 12 ft., Black - Handset Coil Cord features modular plugs at each end to connect handset to phone. Excellent memory retention enables cable to retract quickly and fully. 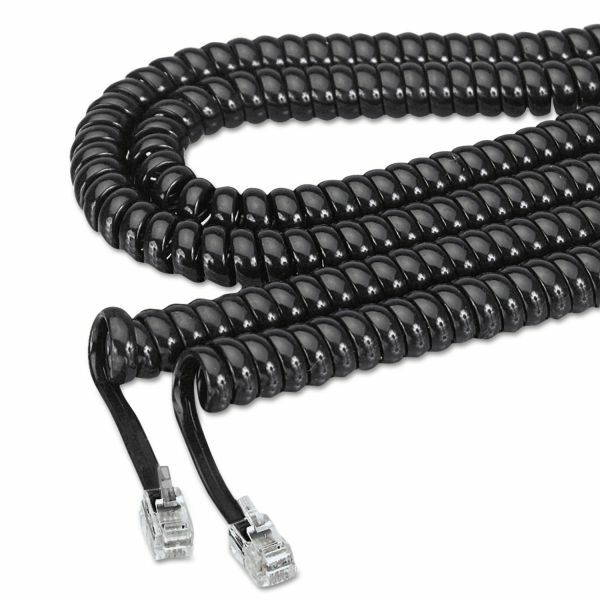 Handset cord is made from super flexible ribbon cable with excellent memory retention designed to provide years of trouble-free service.